Micro Library Books regularly run workshops offering clear, concise and practical instructions on how to assemble various miniature book formats that incorporate pop-up elements, and collage. 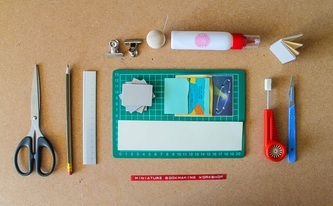 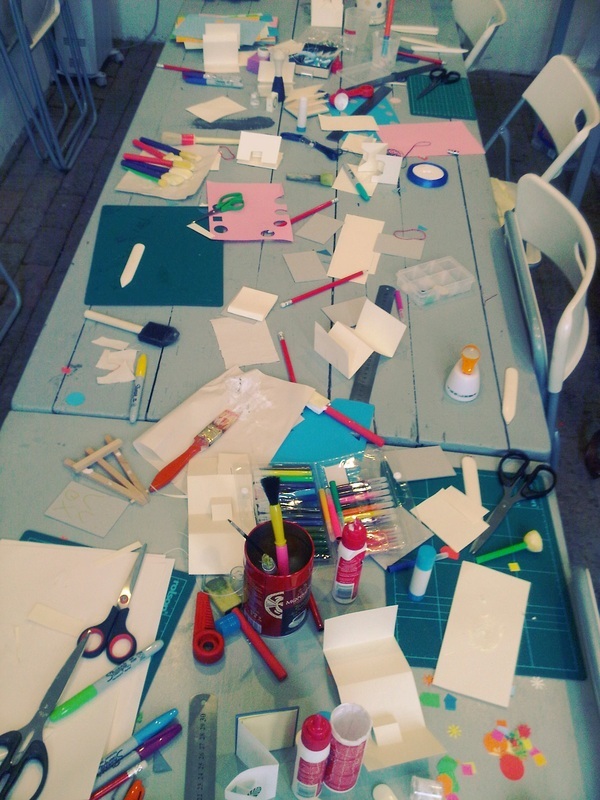 The workshops are run by Micro Library Books founder Lee Shearman who provides all the tools and materials necessary for creating pocket sized books, paper-based sculpture, packaging and experimental book works with pop-up/movable elements. No previous experience of bookbinding is necessary and up to 8 participants can be tutored per session. 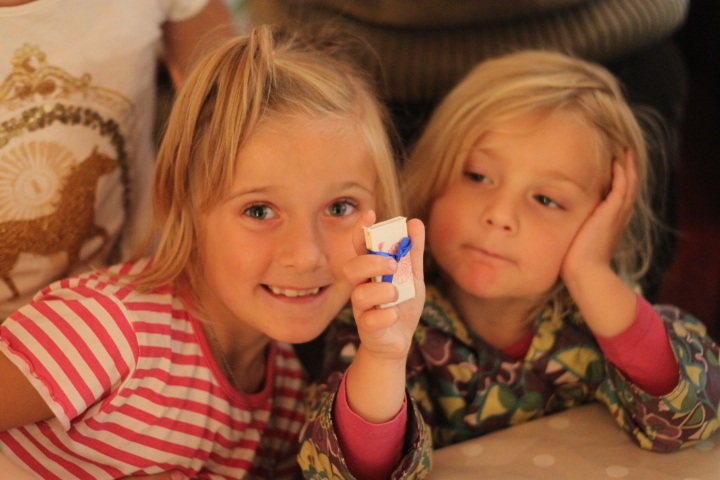 Suitable for children ages 5 and up, and adult learners. Books made by participants during workshop sessions can be taken away. 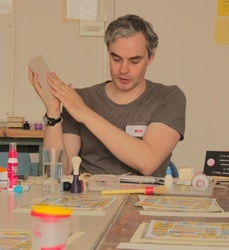 If you or your organisation is interested in a workshop or private tutoring please ﻿contact me ﻿for further details. The 'Young Bohemians’ Mini Summer School was a fun opportunity for young people aged 8 to 12 to experience a typically ‘Charleston’ summer in a beautiful and inspirational setting. 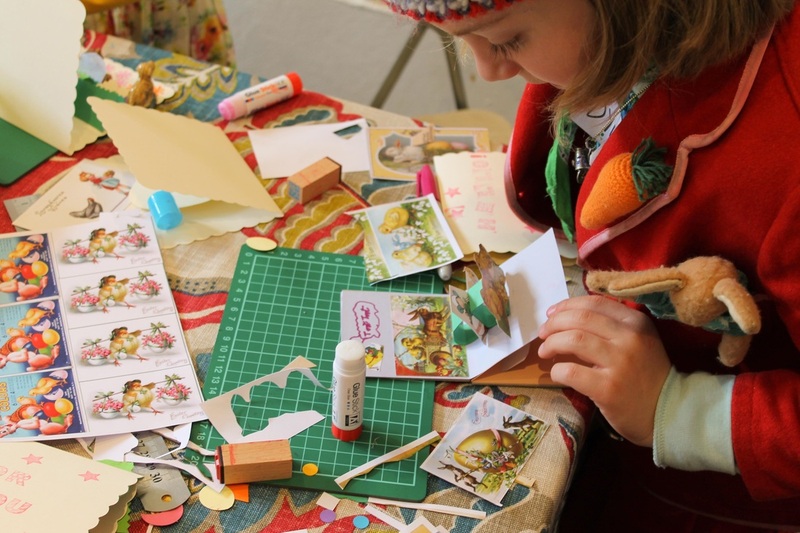 Their imaginations ran riot with two days of varied, hands-on arts activities. Offering an alternative to traditional Easter crafts, participants were shown how to use simple folding and pop-up techniques combined with collage to assemble a full colour Easter-themed pop-up card. 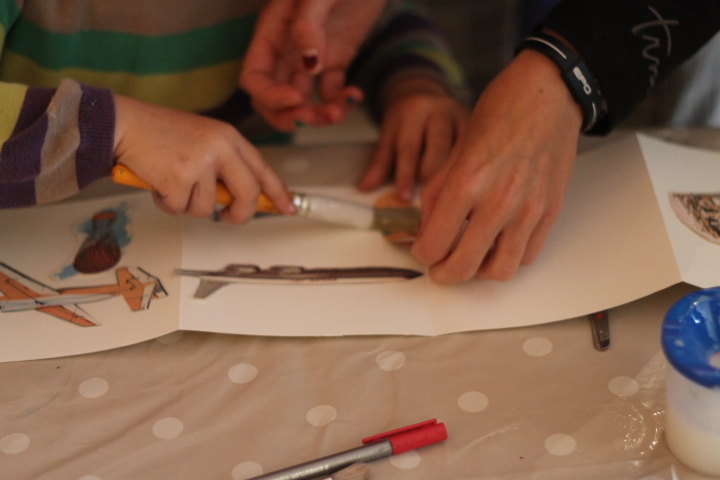 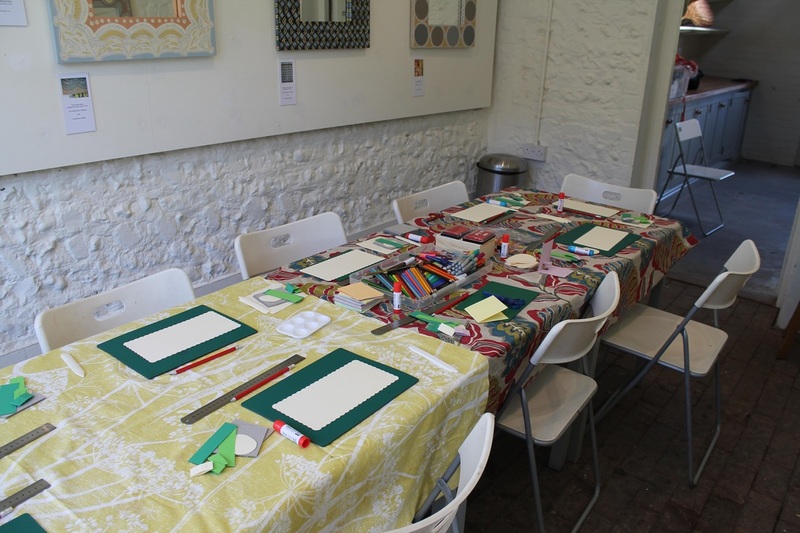 A drop-in family book-making workshop took place in the garage/pottery at Charleston Trust during Small Wonder Short Story Festival 2013. 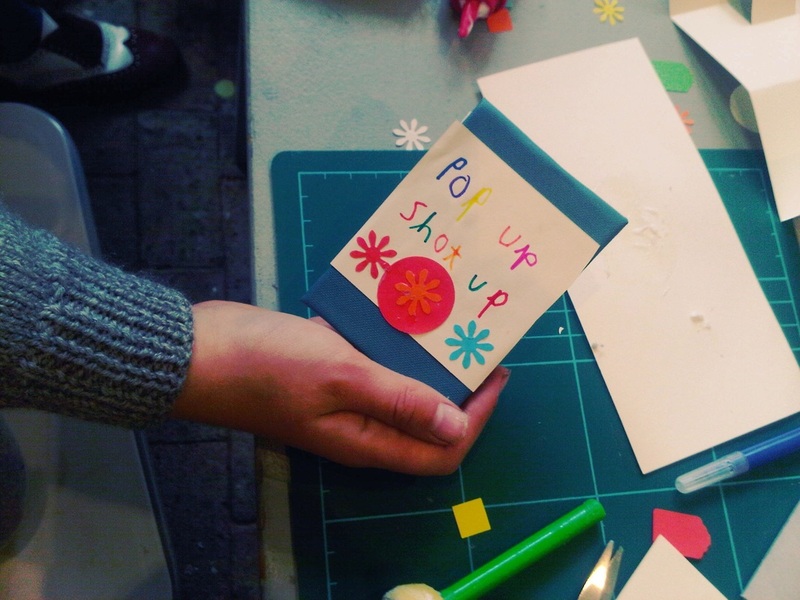 Participants were shown how to create pocket-sized concertina pop-up books, accordion pockets, and hardbound covers from a range of papers and card. 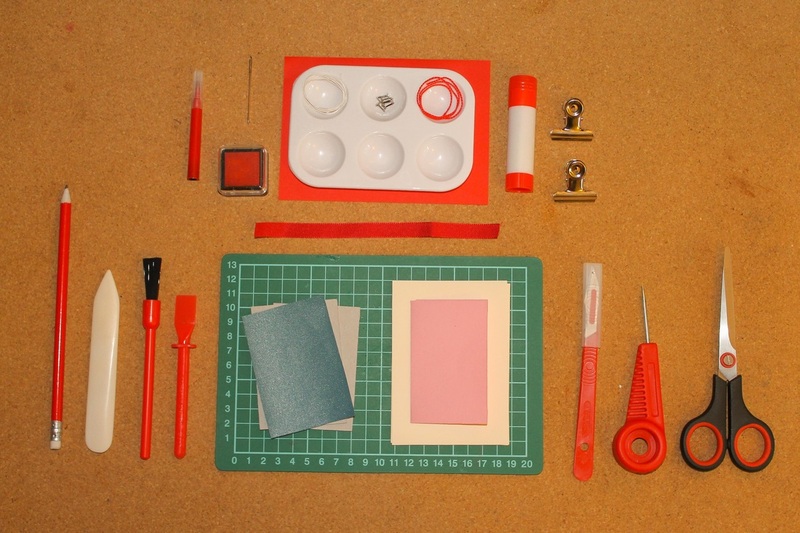 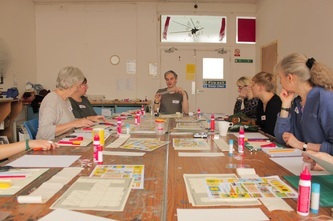 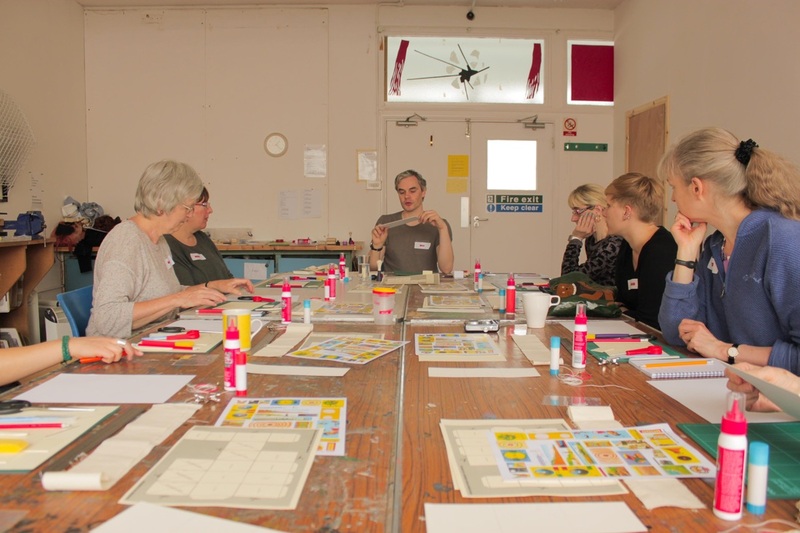 This introductory bookmaking course for 8 people took place in The Red Room at Phoenix Brighton during Press & Release Artists' Book Exhibition. Participants were introduced to all the tools, materials and processes involved in making miniature books, and instructed on how to construct a range their own pocket books and a storage box from printed sheets of A4 paper. A drop in family-friendly workshop held during Small Wonder Short Story Festival 2012. 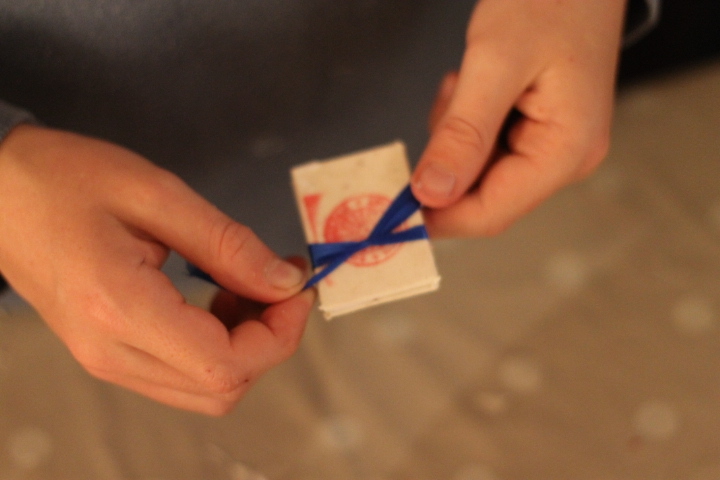 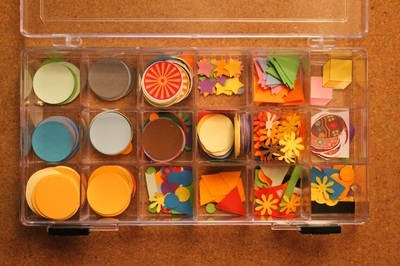 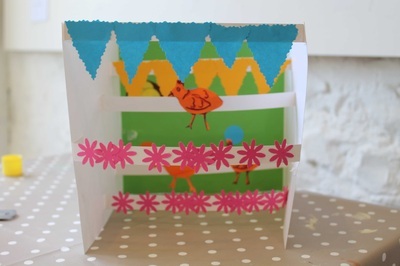 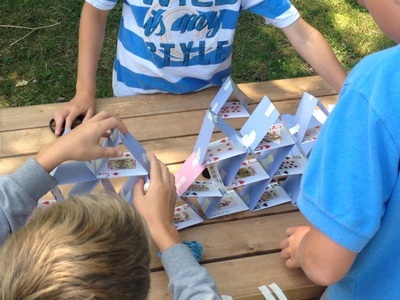 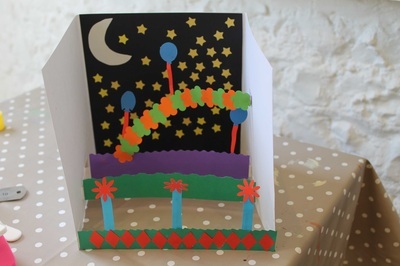 Under instruction of Lee Shearman, visitors collaborated in creating a single collaged pop-up bookwork and were shown how to construct their own hardbound miniature concertina pocket book.